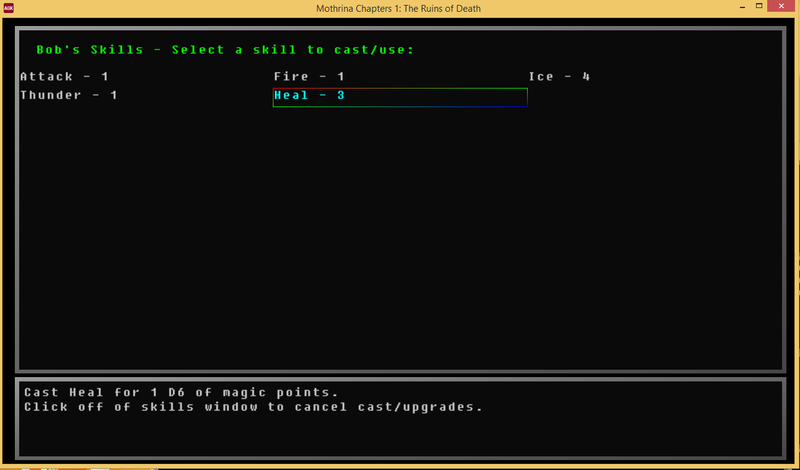 I have gotten some feedback on the controls, and updated the control codes as a result. While I cannot edit the contest link, as per the rules, I can offer players a link to the updated version. If you are downloading just to play, please use the below link. Thank you for your understanding and especally for your feedback! 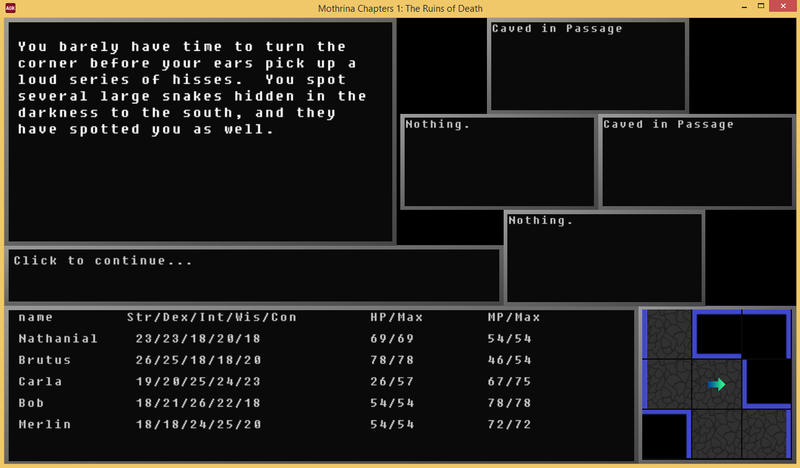 Mothrina Chapters: 1 The Ruins of Death is a first person, party driven dungeon crawler focused primarily on exploration and investigation. 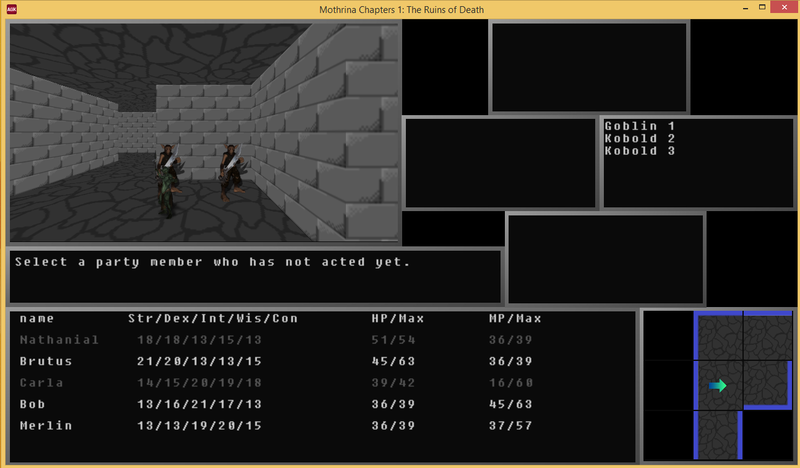 It is mostly text driven like the older dungeon crawlers, but sports a modern interface with WASD and Mouse controls. 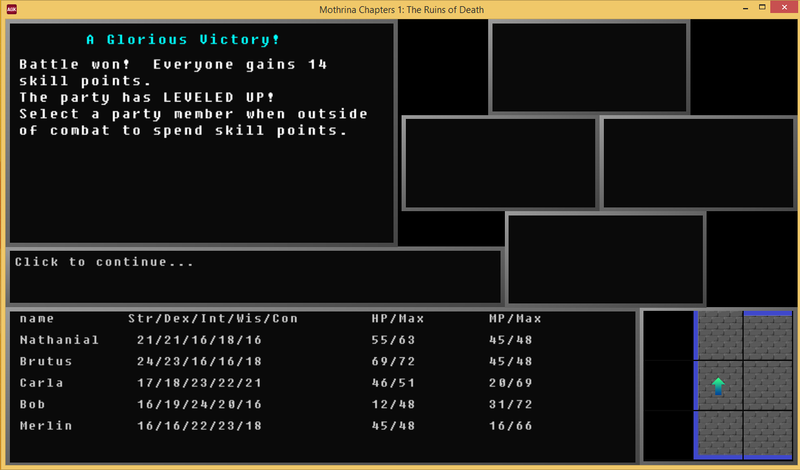 This is a smaller dungeon compared to a full length game, as I am but a single developer. I have included an intro letter in the Readme file that explains the intro to the game, as I ran out of time to script it in the game itself. The file also contains a bit of info on the game controls and the credits, should you want to view them without running the game. Last, there is a file titled CONTEST THEME EXPLANATION that contains reasoning behind my game matching the contest theme, Growth. I have included the editor I wrote, also within the time limit of the contest. The editor is not user friendly. I have included it simply because I had spent some contest time developing it, and because someone out there may want to poke around and see how this game ticks. Judges, make of it what you will, but please take note my main submission is intended to be the game, not the editing tools included with it. Consider the editor just an added bonus. I did not have the time to properly document the editor. Use it at your own risk, and back up any levels you try to make often. The editor itself has a few bare instructions on keystrokes, and I have thrown together any notes I had on hand during making the game levels. Proceed at your own risk, and feel free to copy over my existing levels to the documented save directory in order to poke and see how they work. I have not locked any of my files, for the purpose of letting you copy or explore them in the editor as well. I intend to expand on this engine much more after the contest deadline. So look forward to more Mothrina Chapters series of games in the future, with many more features and perhaps even longer adventures. 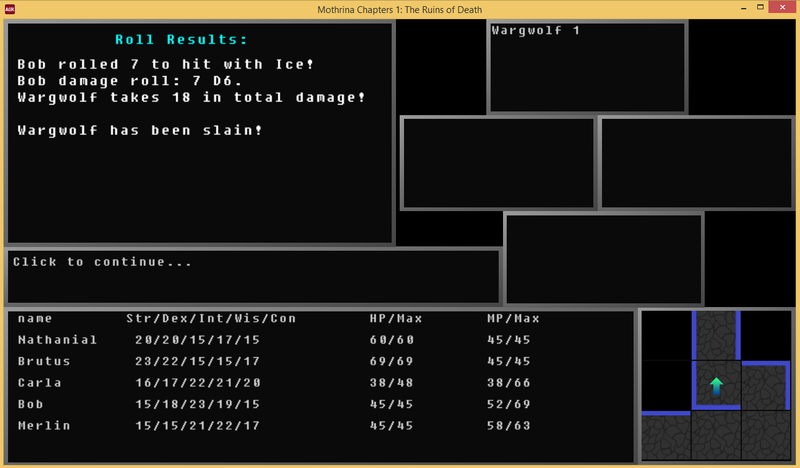 Fancy screenshots have been included so you can see what the game looks like.